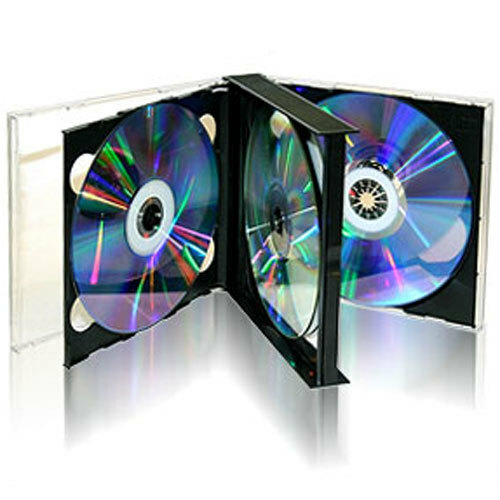 Standard single CD size: 5 9/16" x 4 7/8" x 15/16"
Clear case with four black CD holder snap-in tray. Clear face comes with a hinged center. Black frame is designed to last and is casted from heavy weight hard plastic. 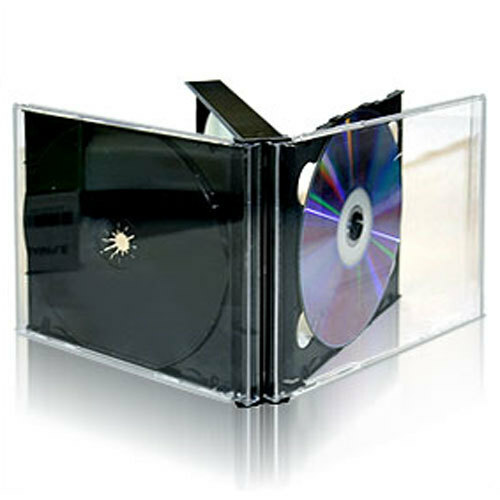 Multi CD Jewel Case Protects your CD or CDR from dirt, scratches, moisture, heat and rough handling. why don't you guys use more bubblewrap? I am pleased, only had a few broken which is great, but a little more bubblewrap and 100 out of 100 woulda came perfectly. 2nd time order, and i'm very happy. Product was just as described and really is a space-saver. These have to be the all-time BEST CD JEWEL CASES I'VE EVER USED!! They save me like 70% space with all my cds and dvds! whoever invented this product is a real genius. shop4tech is awesome too, buy all my pc and electronics here.